An interview with Jameel Jaffer conducted on April 27, May 2, and June 4, 2012 by Ronald J. Grele for the Columbia Center for Oral History, Rule of Law Oral History Project. 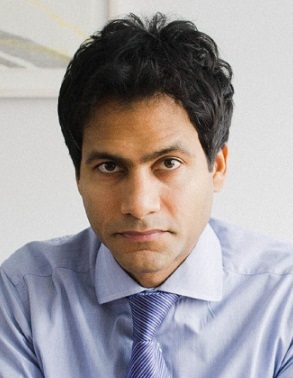 Jameel Jaffer is the Director of the American Civil Liberty Union’s Center for Democracy, which houses the National Security Project, the Human Rights Program and the Speech, Privacy and Technology Project. He has also been a human rights monitor for the military commissions at Guantanamo since 2004. In 2007, Mr. Jaffer co-authored Administration of Torture, a book which explores the systematic abuse and degredation of detainees held in American facilities around the world. The book is based on documents obtained by Mr. Jaffer and the ACLU as a result of their landmark case, ACLU vs. Department of Defense, in 2003.